One Media iP Group Plc is pleased to announce that it has renewed the exclusive rights to the MD Production music catalogue. The MD catalogue comprises over 1,000 original recordings from the 1960s to the 1980s. With performances from artists such as Don Fardon, The Cockerel Chorus, Dando Shaft, Gill Scott-Heron, Greyhound, Roy Harper, Johnny Kidd & the Pirates, Kenny and Python Lee Jackson to name just a few. The tracks have been marketed exclusively by One Media since 2007 on a royalty-sharing basis. MD Productions has been a long-term music provider and has received three advances and on-going royalties from One Media throughout the term. One Media is pleased to report that it has always fully recouped its advances throughout the relationship. MD Productions is headed by Miki Dallon a well-known songwriter and record producer from the 60s and 70s who also had his own performing career from the late 50s to the mid 60s. As a songwriter and producer he scored with The Sorrows ‘Take a Heart’ and Neil Christian ‘That’s Nice’, the songs were also major hits by a variety of artists in most European territories. 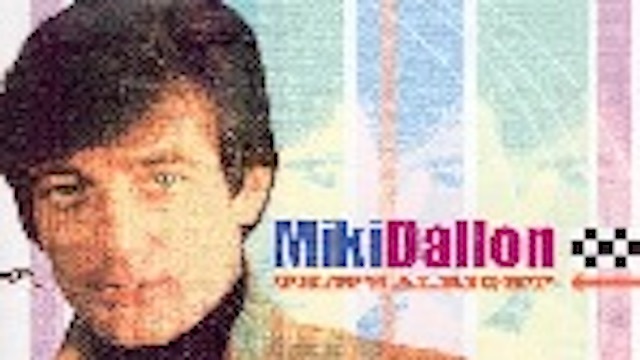 Miki undertook further independent production work for many Major labels throughout the 70s and 80s, having previously run the Strike and Young Blood labels as outlets for his productions through the 60s and 70s. Back in 1958 Miki began his music career as a rock’n’roll pianist with Vince Taylor and Marty Wilde. He followed up with his own group the Medallions appearing on TV shows like 6.5 Special, before teaming up with Mickie Most as a group The Minute Men in 1964.